The G7th Capo is the perfect super lightweight companion for any guitarist. The Performance 2 now we.. 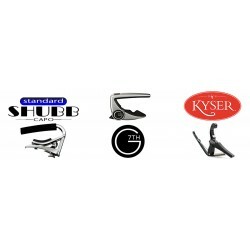 The Quick release Kyser Capo has been the choice of millions for some time. It's simple and effic.. Since 1980 the Shubb C1 capo has set the standard against which all others must be measured. It i..